Investment research house SQM Research has revealed vacancy rates are falling in most capital cities. Despite seeing a rise in April, vacancy rates are mostly on their way back down for May. The number of vacancies across Australia was 73,229, which was down from 76,959 and translated to 2.2 per cent, down from 2.4 per cent in April. Sydney and Melbourne recorded vacancy rates of 1.8 per cent and 1.5 per cent respectively, a seven-year low for Melbourne. The capital city with the largest vacancy rate was Perth at 4.8 per cent, followed by Darwin at 3.2 per cent, Brisbane at 3.1 per cent, Adelaide at 1.8 per cent, Canberra at 1 per cent, and Hobart, maintaining its low vacancy rate of 0.6 per cent from April. SQM Research managing director Louis Christopher said the rates reflect rental markets that are still tight, especially in Sydney and Melbourne, where potential tenants are having difficulty finding homes, along with higher rents. “As the table below of asking rents indicates, the trend is still up for unit asking rents in Sydney and Melbourne over the year, which are rising well above the inflation rate, given a shortage of rental properties,” Mr Christopher said. 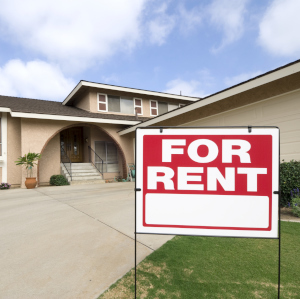 “That’s also the case in Canberra and Hobart where a more acute shortfall of rental properties has pushed the vacancy rate down to 1 per cent and 0.6 per cent, respectively. Asking rates saw relatively stable numbers when compared to last month, with all rental rates for houses falling only 0.5 per cent and all units rising 0.3 per cent. More dramatic changes can be seen when looking at the changes when compared to last month. Houses in Canberra saw a rental rate rise of 9.2 per cent and Hobart units rose into the double digits, at 14.7 per cent. Meanwhile, Darwin and Perth units fell by 9.8 per cent and 9.5 per cent respectively.